I really must admit that European instruments are not my strongest suit, so I won't try to embellish this little photo gallery. Last week when I was visiting with the folks at the Roberto-Venn School of Luthiery in Phoenix, we had a surprise visit from Frank Koonce. 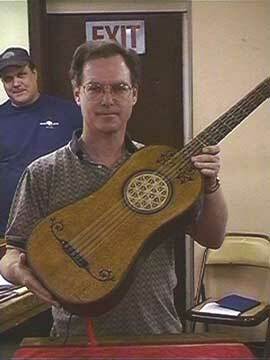 Frank is an instructor at Arizona State, and is the proud owner of what may well be the world's oldest surviving full size guitar. Believe it or not, this thing is over 400 years old! 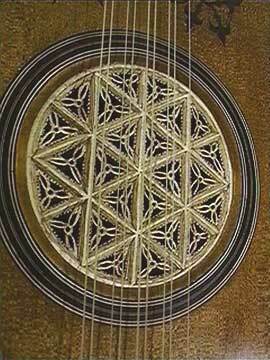 The guitar has been attributed to Belchior Diaz, a Portugese builder who probably made the instrument around 1590. That's s head instructor, John Reuter, standing in the background. 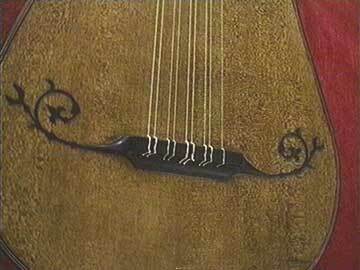 All the work has been done to a high standard of originality, and the instrument looks much the same as it did when it was made, around 1590. 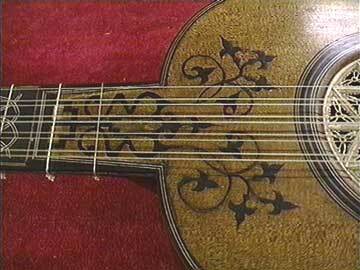 If that's true, then it's got to be just about the oldest surviving parchment rose on any instrument! 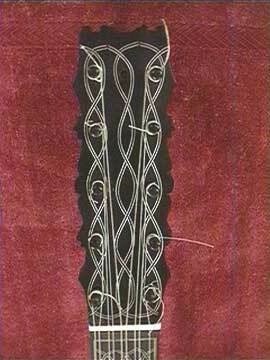 The multi-ribbed back and the neck are ebony with ivory inlay and the top is spruce. 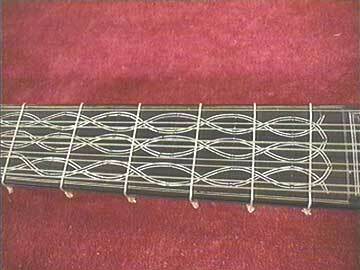 You'll see this guitar featured in Tony Bacon's "Ultimate Guitar Book."